Details of the above events will be emailed out to all club members. Our members agree to abide by our Code of Ethics (print version) when joining the club and on renewal of their membership each year. In addition, Gold Coast Cat Club members agree to abide by the Code of Ethics of their registering Cat Council. For further information on purchasing a kitten, please see our Kitten page. I agree to uphold the Code of Ethics of the Gold Coast Cat Club. As a cat owner I will ensure that I do all that is necessary for the health and well-being of all my cats or kittens. If unable to properly care for them, I will contact the club or the breeder/s for advice and assistance in finding and placing them in good homes. I agree to desex any kitten or cat that I own at no later than four (4) months of age. As a cat owner or boarding facility, I will ensure all cats in my care are kept in hygienic conditions, fed and watered properly, and receive any necessary veterinary attention when required. I will ensure that my kitten or cats are kept inside, or will ensure that my kitten or cats have a secure outside enclosure with shelter. I agree to uphold the Code of Ethics of the Gold Coast Cat Club in addition to those of my registering council. I will not knowingly sell or transfer a kitten or cat to a wholesaler, retailer or pet dealer, or to another person/s to sell on my behalf, or allow any kitten or cat to be a prize or donation in a contest of any kind. I will not advertise any of my kittens, cats or ex-breeding stock as “free” or “give-away”. As a breeder I will ensure that I will do all that is necessary for the health and well-being of all my cats or kittens. If unable to properly care for them, I will contact the club or the breeder/s for advice and assistance in finding and placing them in good homes. When selling kittens or cats I will represent them honestly, they will be at least 10 weeks old, and may not be sold unless they have a minimum of one vaccination, and any kitten or cat that I am selling or re-homing must be micro-chipped, parasite free, wormed, clean and sociable prior to leaving my care. I understand that the Gold Coast Cat Club recommends and strongly urges all breeders to desex any kitten that is going to a pet home, and that all kittens or adult cats must be desexed prior to rehoming if you are a resident in the City of Gold Coast boundaries, unless a veterinary certificate is issued for individual kittens that cannot be desexed due to health issues. I therefore agree that if I do not desex my kittens, every pet owner will be required to sign a declaration stating that their kitten will be desexed by four (4) months of age (except where not recommended by a vet until a later age). I also agree that I will follow up with the purchaser of said kitten to ensure that the kitten has been desexed. I agree to abide by all local and state laws which relate to the breeding and/or keeping of cats. I will endeavour to ensure all kittens or cats go to loving, responsible homes and that the new owners clearly understand the responsibilities of ownership. At the time of purchase, new owners will be offered accurate written information concerning the care of the kitten or cat purchased. They will also be given a diet sheet, vaccination certificate, pedigree papers and grooming information. No kitten or cat suspected of being sick, injured or diseased may be sold under any circumstances. I agree that if within 10 days, a kitten or cat is not acceptable to the new owner due to health reasons, excluding injury, and the complaint is supported by a veterinarian, I as the breeder will ensure that there is an equitable outcome. This guarantee must be provided in writing to the purchaser at the point of sale. 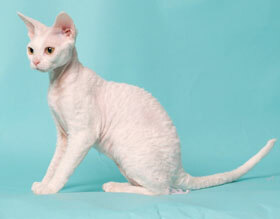 I shall breed with the intention of improving my chosen breed of cat and not for commercial gain. As a breeder or boarding facility, I will ensure all cats in my care are kept in hygienic conditions, fed and watered properly, and receive any necessary veterinary attention whenever required. Any kitten sold by me for showing or breeding shall comply favourably with the standard, and the necessary pedigree and registration forms shall be transferred to the new owner without delay and will be correct in all ways. I shall not sell any kitten or cat for breeding unless the new owner is a registered breeder with a recognised governing council. Anyone who purchases a male kitten/cat for stud purposes will be advised of the responsibilities and care of such ownership and the type of housing required. I shall not permit my registered pedigreed cat to be used by a person who is not a registered breeder with a recognised cat registering body and who does not hold a current breeder’s prefix, or allow my cats to be mated with any unregistered cat or with any other breed of cat, unless for controlled experimental breeding condoned by a recognised cat registering body. I shall not breed my female cat/s before nine (9) months of age and no more than twice a year (except with veterinary advice in exceptional circumstances).